Wow, it’s been over six months since I pulled a Bill Holden. Scar isn’t much, apparently I heal well. And while bashing your head open on a coffee table is a bit traumatic, and bleeding all over is a drag, a sticky clean up, the experience now seems kinda cool. Being on my knees on the floor, a handful of blood and the first lines of a story popping into my head. Trying to staunch the bleeding with a compress and the rest of the piece coming together as I’m laying there. It was a trip. I wouldn’t say I’d do it again, but it was a trip. Life is full of crazy experiences, you take them as they come, and you write about them. 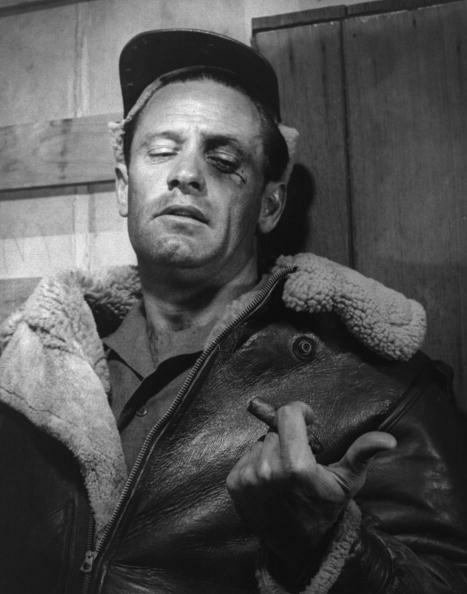 William Holden in Stalag 17 with cool scar. Mine was in the middle of my forehead, longer, and real. This entry was posted in Autobiography,memoirs and confessions and tagged Bill Holden, bleeding, blood, experiences, William Holden. Bookmark the permalink.